Forty Six kilometres away from Thekkady and very near to the Periyar River lay a beautiful hill station, Pullumedu. 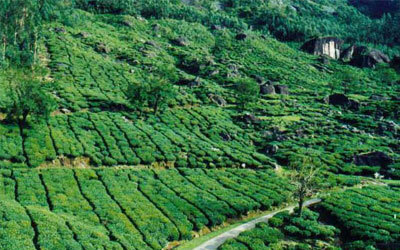 Literally, 'Pullumedu' means green meadows and when you are here, you will definitely find, how ideal this name is. Yes, Pullumedu is a place filled with green meadows and it looks like a green carpet over the earth. You can never miss a destination like 'Pullumedu', when you are planning a trip to Thekkady. The destination lies 26 kilometers away from Periyar. Apart from its scenic beauty, Pullumedu is also known for its spiritual elements too as it is connected with the famous 'Makarajyothi celebrations' and academicians are also interested in Pullumedu. In the month of January, Pullumedu sees a huge rush of Sabarimala devotees, who gather here for witnessing the divine 'Makarajyothi' (celestial light) from here. It is a visual treat to view Sabarimala temple from Pullumedu and it is very easy to watch the divine jyothi (Makara jyothi) from Pullumedu. Devotees from around the world gather here to watch this celestial light, which they consider as most divine. 'Pullumedu' also makes us to remember the 2011 Pullumedu stampede that took the lives of several devotees. Don't hesitate to pray for them too. The tragedy happened during a 'Makarajyothi celebration' in 2011. The devotees, who gathered to watch the Makarajyothi became the victims. Around 106 devotees were killed in the tragedy and another confusing fact is that, the reason behind such a tragedy still remains unknown. Pullumedu is also blessed with rich varieties of flora and fauna. Visit here to find rare species of plants. Certain areas around Pullumedu are not opened to tourism. You cannot visit such places. These are maintained to balance the eco-system here. A minor disturbance can hurt the whole balance of the nature. So, be cautious about it. Months from September to December are considered to be the best time to be at Pullumedu. It will be difficult for you to have a trip to Pullumedu during rainy season. There are chances of getting drenched in the rain and lose the whole fun of the trip. The above mentioned months will be cool and also the hill will be filled with the green cover. Indulge with the beauty of this place and forget all the hurdles of your life. Pullumedu is easily accessible as it is connected through rail, road and air. Move through the Ernakulam-Thekkadt road to reach the destination. 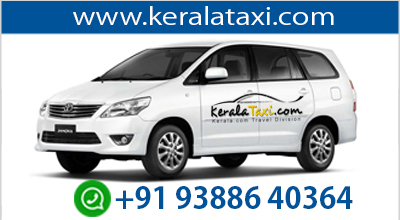 Kottayam is the nearest railway station and Cochin is the nearest airport. For visiting 'Pullumedu', it is necessary to have prior permission from the wildlife preservation officer, Thekkady or the range officer, Vallakadavu.